About Us – Albertson Engineering Inc.
Albertson Engineering Inc. has provided structural engineering services throughout the Black Hills and the Great Plains since 1999. With 7 licensed professional engineers, 2 EITS and a staff of 18, we can help with projects of any size. From our beginnings as a small office in Rapid City with one engineer and one drafter, we have grown to have offices in Rapid City, Sioux Falls, and Winner. We have completed projects throughout the upper Midwest region. 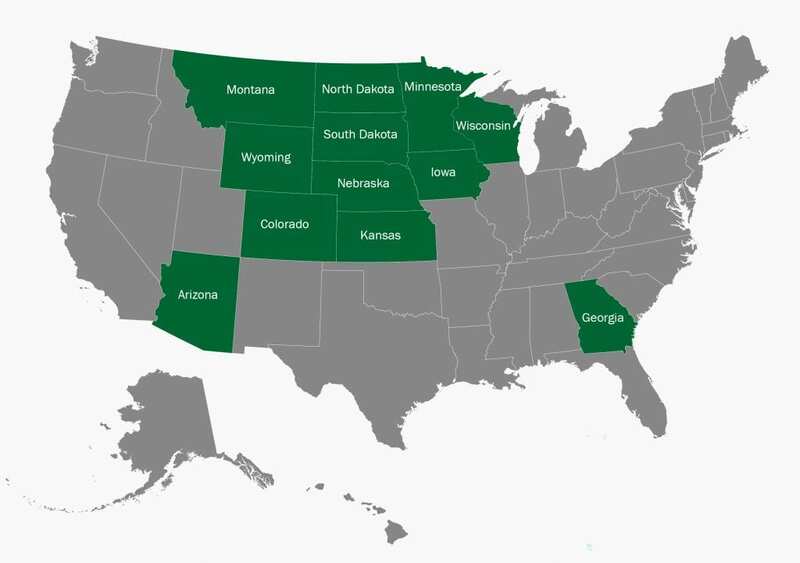 See below for a list of states where AEI is registered. AEI provides complete structural design services for structures of all types and sizes. We are a local firm, and our local roots mean we know the design challenges of our area and we know the local contractors. The wind loads, snow loads, and varied soils are real challenges in our area, and we have the expertise to design structures that will stand up to our environment. We are part of your community, and through our involvement in professional organizations we make sure we are on the cutting edge of changes within the industry. Our engineers take pride in our ability to find engineering solutions for framing a structure that achieve all of the structural performance requirements while helping preserving the client’s vision. Every project is unique and presents different challenges, from the architectural highlights to the underlying soils. Our engineers make sure the end result is a constructible, efficient structure that remains budget conscious while staying true to the client’s vision. We work with our clients from the very beginning of design through the end of construction to see our projects are completed as intended. Our three locations ensure we are always available to check on a project should a construction issue arise.